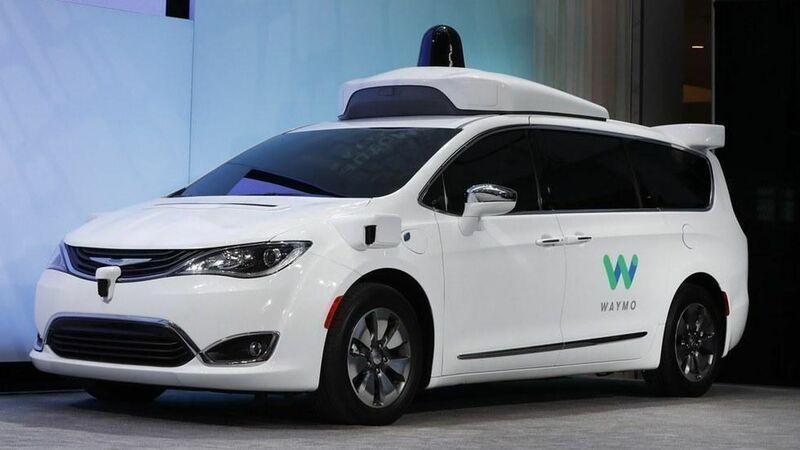 Lawyers for Google's former self-driving car unit showed internal Uber emails Wednesday that it says bolster its case that former executive Anthony Levandowski was conspiring to steal trade secrets before he left Waymo. Why this matters: The parties are in court Wednesday trying to convince a federal judge to halt Uber's work on self-driving cars. In arguing for an injunction, Waymo lawyers argued that Uber and Levandowski devised a plan to come up with a company for Uber to later buy. Uber did later purchase Otto, a self-driving truck company where Levandowski was a founder. "Clandestine plan": "Secretly Levandowski and Uber were planning while he was still at Waymo and negotiating a deal," Waymo outside attorney Charles Verhoeven said, citing internal Uber e-mails, including some from former Uber executive Brian McClendon, a former Google Maps head who ran some of Uber's advanced technology operations before leaving the company in March. "There was this clandestine plan all along that Uber and Levandowski had a deal." Waymo lawyers also produced a document showing that Levandowski was awarded 5 million shares of Uber stock with an effective date of Jan. 28, 2016 — the day after he left Google and months before Uber acquired Otto. Verhoeven also detailed the amount of data that Levandowski accessed from Waymo servers before leaving, saying he downloaded 9.7 gigabytes of data to his company laptop, then connected an external hard drive before reformatting the laptop hard drive, allegedly to cover his tracks. The judge overseeing the case, William Alsup, challenged Waymo to show evidence that Uber knew Levandowski had downloaded company documents. Verhoeven argued that it can't because Levandowski is asserting his right against self-incrimination and Uber has withheld more than 3,000 documents that might prove the point. Uber's response: Uber says it is has the right to assert privilege on the documents in question. "We're not hiding anything," Uber outside lawyer Arturo Gonzalez said. "The privilege we are claiming is a legitimate privilege." As for the stock grant to Levandowski, an Uber representative said that although the vesting start date was for the day after he left Google, it was awarded to him after Uber acquired Otto. The vesting date was made as of January to give him credit for the time he spent at the acquired company, something that is not uncommon in acquisitions. Uber also said that none of his stock has actually vested, with vesting based on meeting certain technical milestone. Uber also showed off a bulky, imposing device, known as Spider, that it says was one of the LiDAR systems it independently developed and something Waymo says uses its proprietary technology. Much of the legal argument centered on just what inferences the court can make based on the fact that Levandowski is asserting his Fifth Amendment rights. Waymo wants the court to assume that Levandowski still has the Waymo documents and that Uber has misappopriated trade secrets. Uber, naturally, disagrees. Judge Alsup has said that there is strong evidence that Levandowski stole documents, but said in court that Waymo has yet to offer up a "smoking gun" that Uber used or even knew of the stolen documents. The hearing is ongoing. Check back for updates.